The school governors have approved our new uniform which everyone must agree will look smarter as we introduce a compulsory clip on tie. To show this to its best advantage the school sweatshirt will now be a v-neck. Girls may continue to wear our logo cardigan. 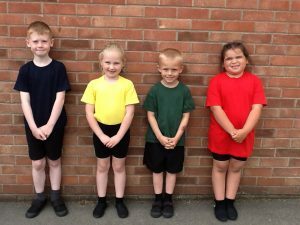 We would like to implement KS2 (Y3-Y6) wearing this uniform from September 2017. We will also like to extend this for KS1 pupils (Y1-Y2) over the year, aiming for all Y1-Y6 pupils wearing this uniform from September 2018. 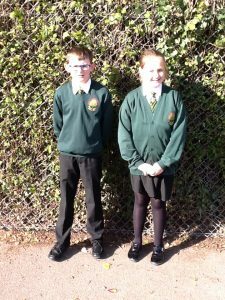 Please find images to the right of our school uniform, indoor P.E. 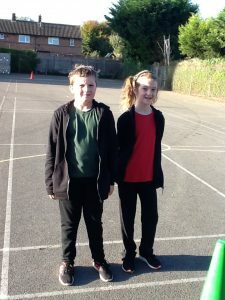 kit and outdoor P.E. kit.